Life is crazy and chaotic. Sometimes you need to come back to what matters most, but you've got to know what those things are. And once you decide what is most important, you will naturally experience a more simplified life. What matters most? What can you remove from your plate? What is no longer serving you and your family well? These are all great questions that you can think through to help simplify your life. 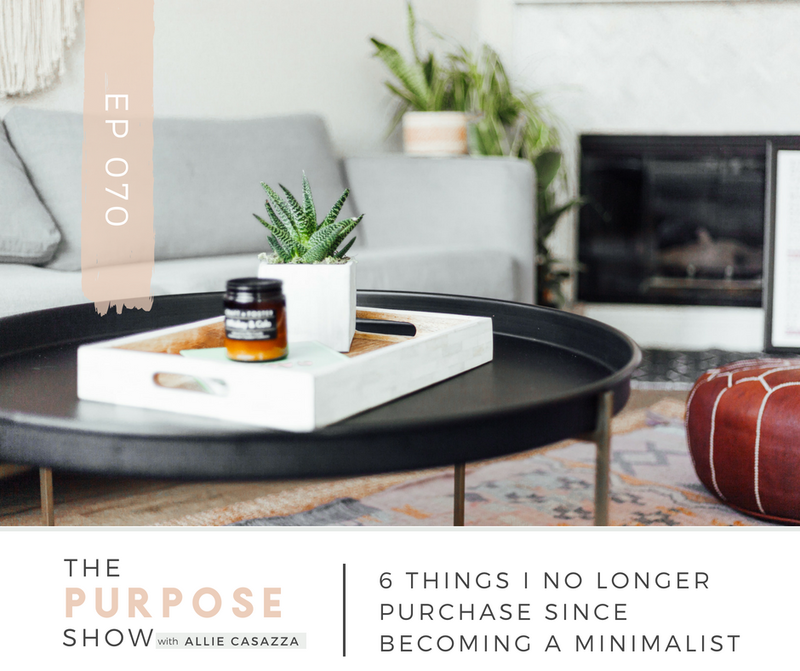 I am excited to share with you the 10 things I have done to simplify my life and how they have impacted me, my family, and my business. 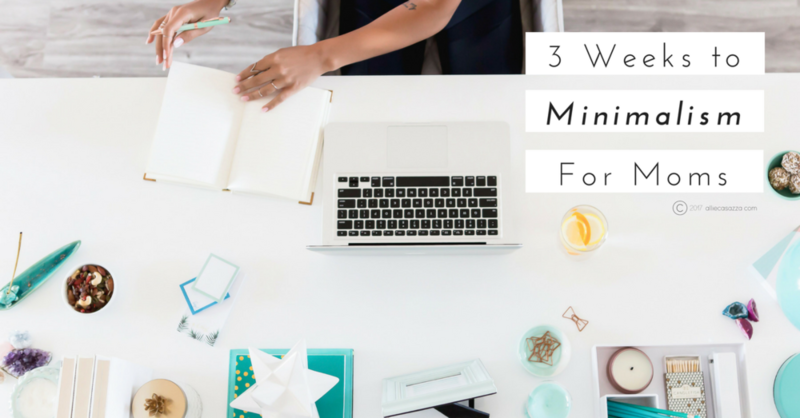 How prioritizing what is important to you brings simplicity to your life. The power of saying “no” even when it is difficult. How having boundaries in order is such an act of simplification. Why alone time is healthy, no matter if you are extrovert or introvert. The ways established routines encourage simplicity. 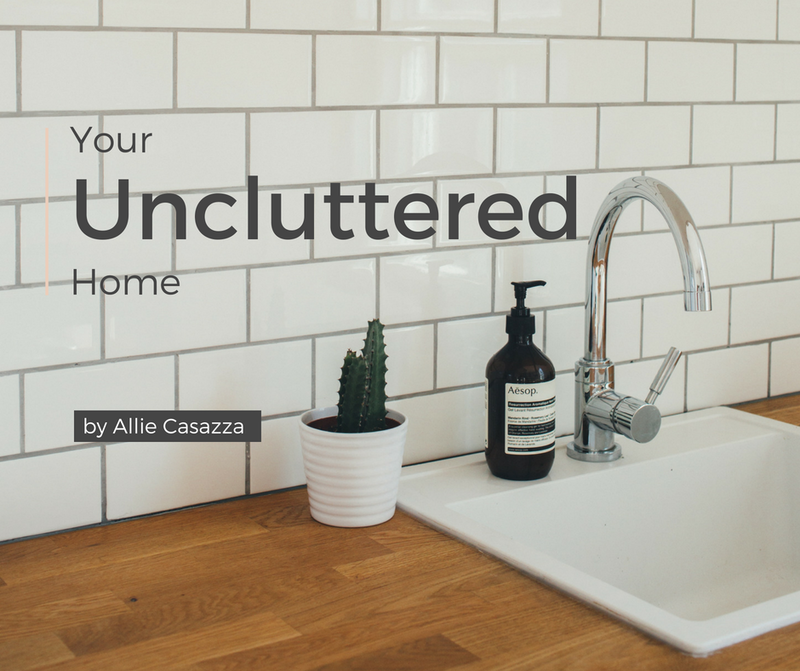 Learn More About your uncluttered home! Hey, beautiful! Welcome to The Purpose Show. 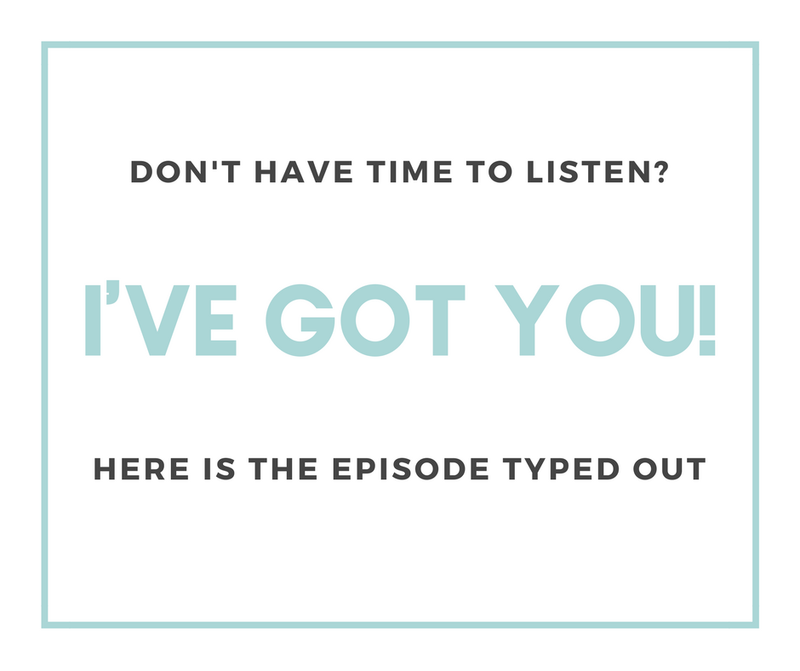 I don't know if this is your first time listening or if you've been a faithful listener from the beginning, but either way I want to say that I'm really glad that you're here! I’m really glad you're listening and I believe you're listening for a reason. I'm happy to spend this time with you. 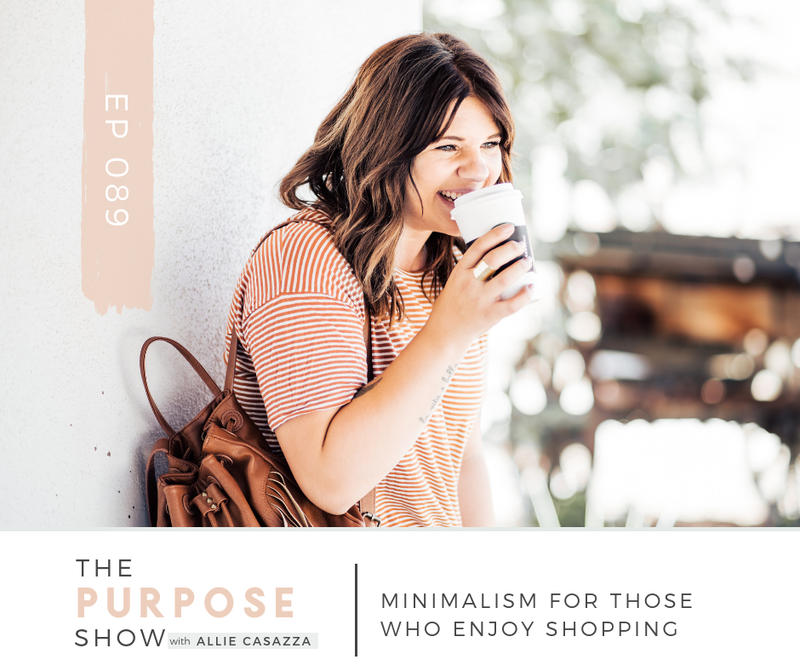 This episode is all about things that I've done to simplify my life. 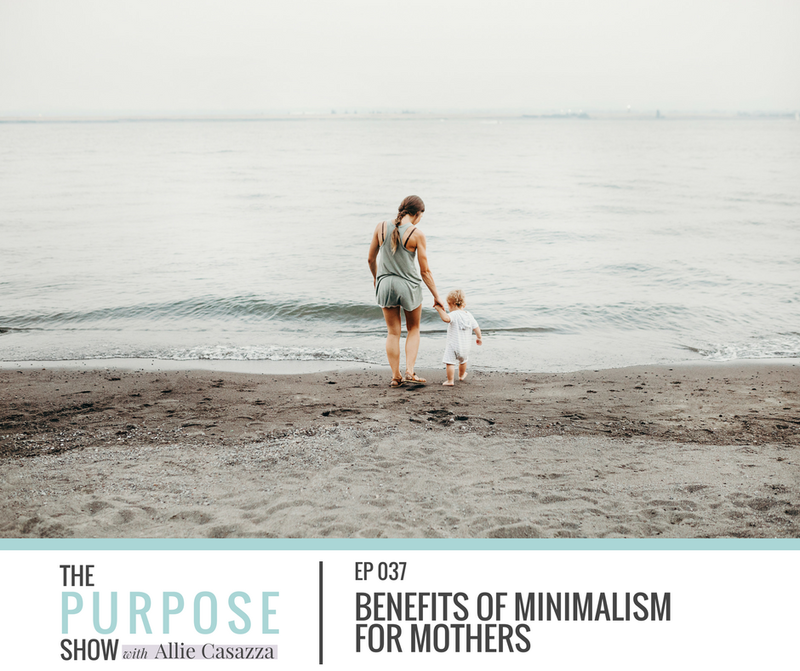 I sat down with the idea for this episode and I started to write what are some things that I've done, some things that I've put into practice that have simplified my life and really made a difference. I'm all about asking the question: What can I remove from my plate in the different areas of my life? What has to be done by me? What do I want to be done by me? What's dragging me down? Is it necessary that it drags me down? Is it just a part of life? Is there a way that I could learned to enjoy this more? Is there a way I could learn to do this more efficiently? Is this serving my family? Is this serving someone else in a positive way? What is going on with each area of my life? I think that's how you really get intentional. I always feel I come up with awkward numbers (8 Times That I Was A Great Mom) but this time I really did come up with 10. Perfect. Let's dive in. The first thing that I would say came to my mind about things that I've done to simplify my life is I decided what's most important to me. 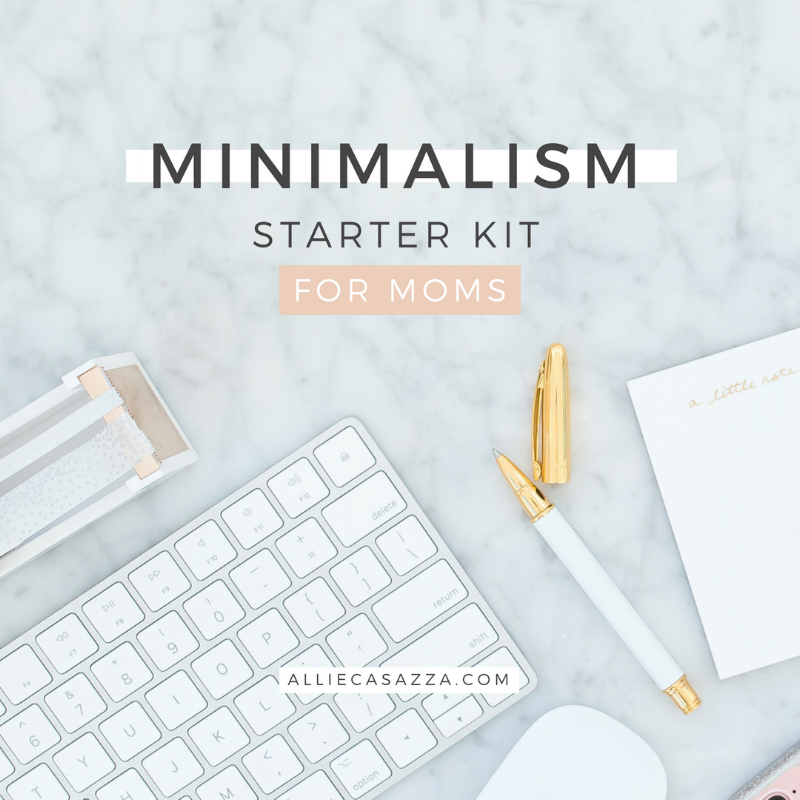 I would encourage you to do this and to keep your list to 5 or less things. Life is crazy and chaotic. Sometimes you need to come back to what matters most, but you've got to know what those things are. For me, my list is broken down into relationships because really that's what each area of life breaks down to is your relationship with your priorities. It's my relationship with God, my relationship with myself, my relationship with my husband, Brian, my relationship with my children and my relationship with my business. And frankly that's about the order that it's in. The reason that I have it in that order is, well, first of all, God. Not to be cliché, but really He is my most important relationship. And I'll be honest and say sometimes my actions may not reflect that. But in my heart of hearts, that's what's most important to me. That's the relationship that deserves the top priority. And if I feel like my actions are not aligned with that statement, I know that I need to make some changes and some shifts. And I will and I do. That's a constant fine-tuning of sorts. Controversially, I put myself next instead of my relationship with my husband. I don't know if that's right or wrong, perfect or flawed, or what, but that decision came out of a lot of reflection and a lot of learning in my twenties. I just recently turned 31, so, I’m no old sage or anything, thankfully. Friends and family are very important to me, but they're definitely on the outer rings of my life. Not the center ring. They don't come before that other list. My relationship with my business is so important because my business is not just a business. It's my passion. It’s really a ministry of sorts. It is so important and it is my family's livelihood. I am really passionate about giving. I'm getting a little personal here, but in the first year of my business our family was America's version of poverty. It was really, really, really bad. 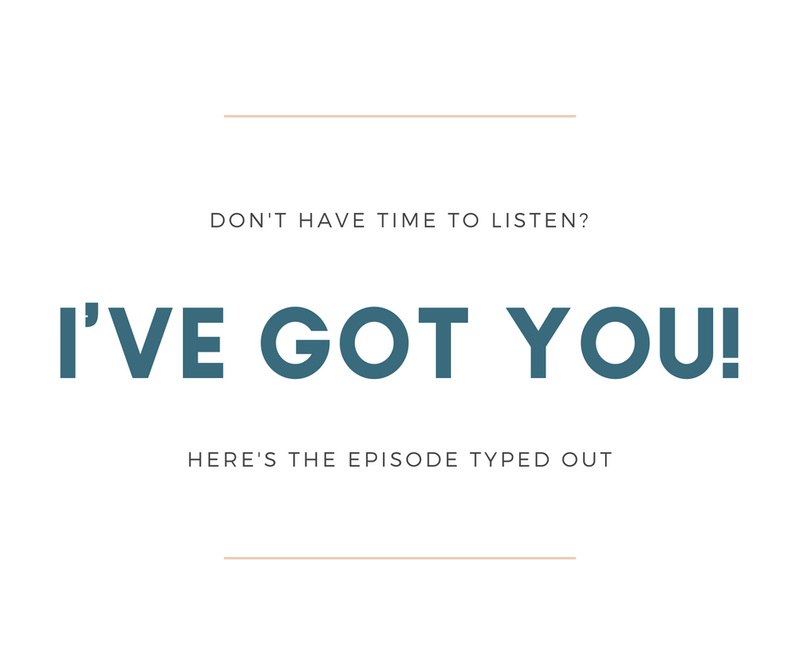 (If you want to hear our story, you can listen to episode six of this podcast.) We came around to the other side. Our business was thriving and went as a business from zero to seven figures in 18 months. It was so exciting and crazy. I have always been passionate about giving and helping others and my difficult financial experiences in my life with my husband definitely fueled that fire. I became even more passionate about giving and wanting to do good things with this money. I got a little bit too gung-ho about giving and gave away too much to where it was like, “Oh crap, now we don't really have a safety net here.” We probably should have put a little bit more away because that’s what you want to do. I have a hard time saying “no” when it seems good, when something seems charitable, when it seems like it's going to help somebody else. Even if you're an extrovert, being alone is so good for the soul. Just being quiet for a second. Get the kids in bed, check in with your hubby and make sure he's good, and go for a 20-minute drive. Get a Chai latte and go for a drive with the windows down. Don't even turn music on, just be by yourself. It’s so nice to see what good company you are and where your thoughts go. What worries, fears, dreams or joys come to mind? Another thing I did to simplify my life was I simplified my home. You know, obviously this is what I'm really known for, but my gosh, I had a hard time not putting this first. I simplified my home. I got rid of the clutter. I let go of the drawerfuls of junk and crap that was taking up all the nooks and crannies in the closets, under the bed, wedged in between couch cushions, crammed into nightstand drawers and kitchen drawers. Multiple spatulas, spoons, and bowls that were mismatched. Magazines and random clutter. You probably already know this is what I do. This is what I'm known for. 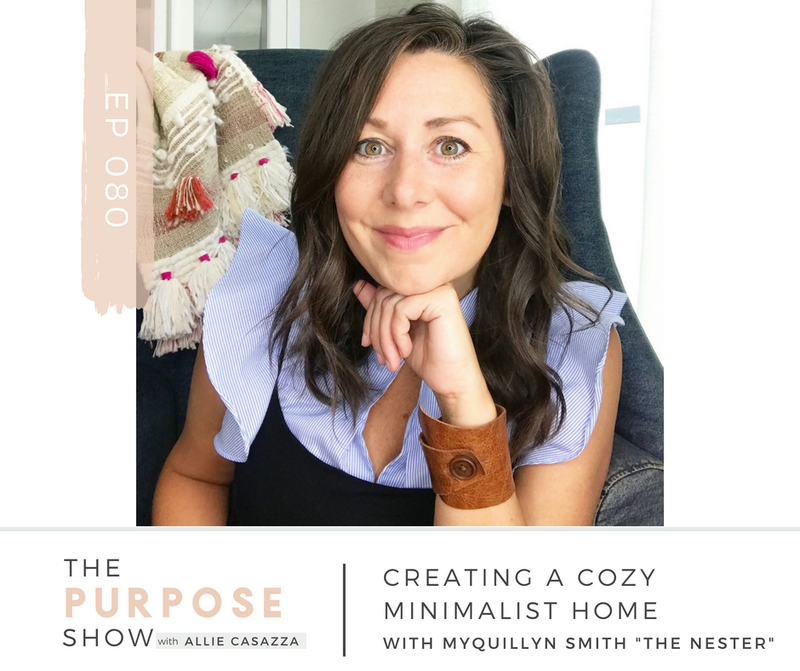 This is where my signature course, my ecourse, “Your Uncluttered Home” came from - this has been my process and my journey and let me teach you how to do it. Simplify your home. Watch your life transform. 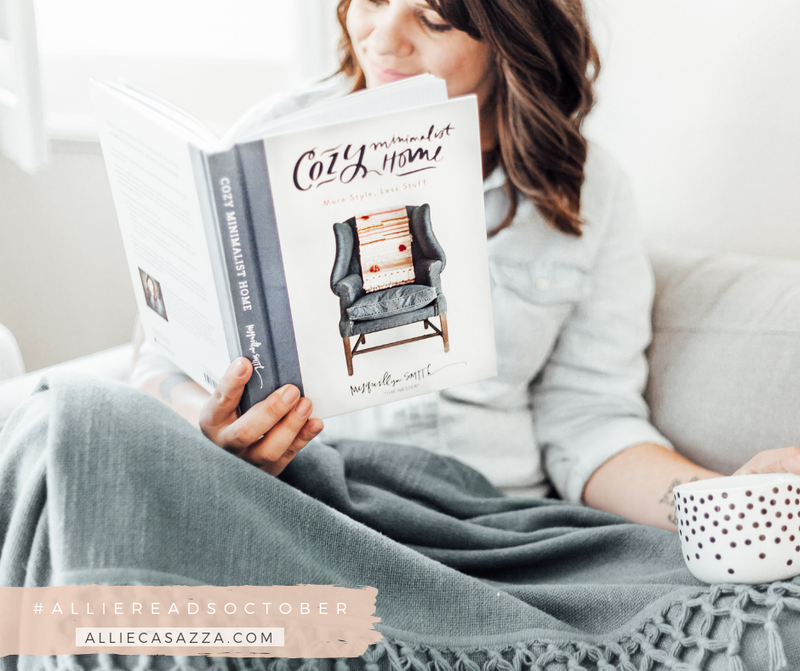 You wouldn’t even believe it if I told you all the different areas of my life that have changed just from simplifying my home. My marriage improved. Relationships improved with myself, with my kids. I was a lighter person, much happier, less stressed out. I found it so much easier to stop yelling and stop reacting to my life because I wasn't living in this place of constant stress. My life no longer reflected the way that my home was cluttered. It reflected the way my home was uncluttered. Studies show that the way that we have our homes is a reflection of the way we have our lives. And I really believe that. 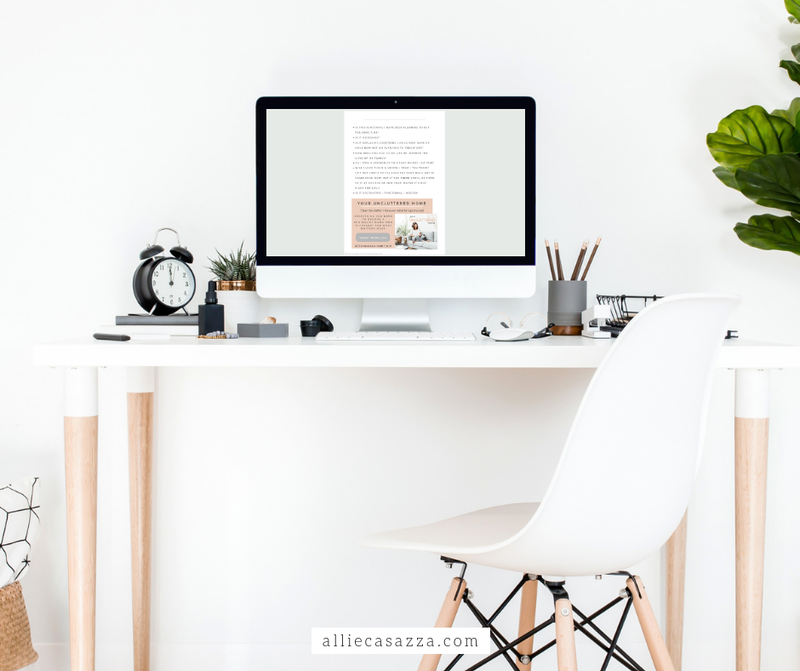 It's been true for me and true for the thousands of students who have gone through “Your Uncluttered Home.” I definitely, definitely would say that one of the biggest things I did to simplify my entire life was clearing my home of clutter. The next thing I would say is I established routines, specifically my morning routine. That's also a podcast episode. I am not sure what number it is, but I'll link to it in the show notes. My morning ritual is very important to me. I like to call it a ritual because that's really what it is. I don't like to think of it as a routine. I don't know, it just feels like the word “ritual” is so much richer, better, more spiritual, important and beautiful. And that's how I feel about my mornings. I hate when something is going on that causes me to miss my morning ritual. That happens very rarely because my morning ritual begins pretty early in the morning. It's only when we're traveling and I have to get up early to leave for the airport for a trip or something like that that gets in the way. I feel the difference in my spirit. I really do. Another thing that I did to simplify my life is I downsized. Back before all of this, before I decluttered, before this part of my story began, we lived in a pretty large house. It was definitely pretty large for our family size at the time. We only had two of our kids and it was a lot. It was so much maintenance. It was so much cleaning and it wasn't really worth it at the time because I was so overwhelmed. I was fighting depression and we only had two of our kids. I was pregnant with our third, Hudson, and it was so much extra work. It was so not worth it. We couldn't even afford to furnish all of it. It just felt empty, dull and high maintenance. Oh my gosh. I mean it was awful. Friends and family would comment regularly on the fact that we were living pretty small. It didn't feel too small to us but small enough to where it got comments for sure. It was a little bit against the norm, even now when we have four kids. Actually, this is the first time that I'm saying this on my podcast now that it's out, but we know we're going to be adopting and so our family is going to grow even more. Our house is about 2300 -2400ish square feet. And it's three bedrooms. We work from home, we’ve got an office that's an extension of the garage. So even now our house really isn't that big for a family my size. It's definitely the biggest house that we've had since our big downsize. I think the original house that I was talking about before was over 3000 square feet and it was just a lot for me, especially at the time. And you know with more space comes more cleaning, more maintenance. But it's OK; I can handle it now. I've got less stress. I'm not depressed. My kids are older; they help. My husband's here to help. I have a housekeeper that comes once or twice a month and helps. My season is different. It's so true, you get out and you start to live. You enjoy the outdoors. You really make your little home count, you know? It matters to you more. It's more important to you. It's cozier. I love a small house. Another thing that I did to simplify my life was I started walking. This might sound silly and you might wonder what that has to do with simplifying, but it really does. I started walking as a way to simplify my health. I think that the health and wellness industry is a money hungry industry of unnecessary advice. And I got sick of it. I just wanted to feel better. I wanted to lose weight. I wanted to feel like I had more energy. Sometimes I do that. Sometimes I listen to a podcast or an audio book. Sometimes I listen to music. Sometimes I pray. Sometimes I have absolutely no agenda and I just go for a walk and see where the Lord takes me. But walking simplified my health. I lost weight. I feel better. I do more than just walking now, but I still walk. It's a simple practice that I am really fond of that's really changed my life, that I really love. The ninth thing that I've done that I would say simplified my life is I implemented a “nothing day.” It used to be once a week. Now I guess I still have a “nothing day” once a week, but really a very intentional, absolutely zero things on my calendar day, once a month for sure. Sundays I like to turn off social media, at least for the most part. I don't look at my phone much. There's no work, unless I really want to. I love what I do. Sometimes I getting inspired and want to jot down a blog post or something. It's just rest, whatever rest looks like that day for me. It's something that is so overlooked and not very often scheduled and it needs to be. It's so good for the soul. I implemented a “nothing day” once a week, about 1 ½ - 2 years ago and it was so good. Now I'm in a season where I don't really need a “nothing day” every single week. We have very restful family days on Sundays, but it's not technically a “nothing day” now because we're going to church, Costco and stuff. I have a “nothing day” on my schedule about once a month, sometimes more depending on my need. Let the day take you. If you want to leave and go do something, great! But, it's OK to stay in with no bra and no makeup and just hang out on the couch with your hubby and let the kids play games. Just veg. Just be. It's good. It's good for the soul. Number ten is I simplified my eating. This goes back to the whole thing about the health and wellness industry. But you know, it's overwhelming. We eat at least three times a day and making food can be so complicated. It can really take over your day. A friend of mine, Amanda Wilson (I'll link to her Instagram account) because she is an incredible Instagram-er for the health and wellness industry. She taught me about food prepping instead of meal prepping. Food prepping is when you prep basic foods so that you can put plates together for meals, instead of deciding what you're going to eat way ahead of time, making the meal, and putting it in the fridge. Because what was happening for me was I eat by mood, so I would make a meal and put it aside and I wouldn't want that later. What if I didn’t want leftover spaghetti or whatever it is? Instead, I started prepping basic foods that I know I eat all the time, like grilling up some potatoes, grilling some chicken and seasoning it lightly with salt and pepper, so it can be used for any recipe. Making some cauliflower rice and putting that in the fridge. Things like that. Things that could be made as part of a meal but aren't already a designated meal. That really helped me. I simplified my meal plans. Maybe we'll do a separate episode on this, but I just simplified my eating. I cut the crap. I stopped trying to be all specific. “Oh, is this exactly Paleo?” I just said, “You know what? I want to eat clean. I want to eat well, but I also want to eat real and not have this takeover my entire life. I want to cook because I want to enjoy the atmosphere that I create my kitchen when I'm cooking, not because I have to.” I wanted to bring some joy into my eating and I really simplified our food in our house and it was so good. And there you have it. 10 things that I've done to simplify my life. I hope that this was inspiring in a different way than my episodes usually are because I'm really just telling you something that I've done and not really telling you exactly how to do it. Which I think can make you be creative apply this to your own life in a different way than usual. So, I hope that inspired you guys.